If you have concerns about water, the drainage installation process is worth knowing about. Two types of drains are particularly effective at eliminating water issues. They prevent water from causing foundation damage in slab and pier and beam foundations. 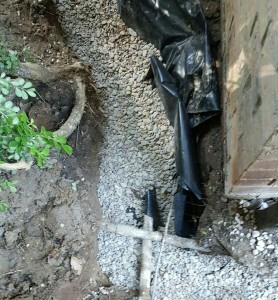 When performing the procedure in North Texas cities, the process involves digging a trench around the house foundation. The purpose of installing it is to prevent foundation damage. Keep in mind that different drains are installed somewhat differently. The two types most commonly used are French drains and surface drains. Sometimes French drains are referred to as “trench drains,” too. The trench (which is positioned directly next to the foundation or 1″-2″ away), might be dug on one side of the house foundation, or around all four sides. It all depends on how much water is involved and what’s required to solve the problem. The slope of the yard is an important consideration, too. A negative slope means moisture will seep under a house foundation, damaging it. These drains prevent that from happening. 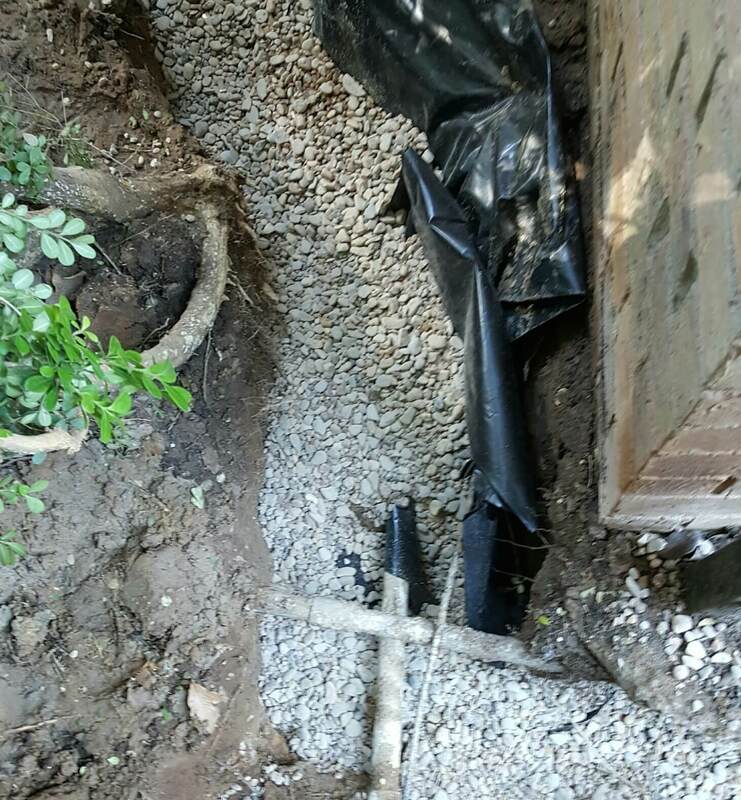 As part of the drainage installation process for French drains, a professional might position a 20’ French drain around a foundation. Or, they may opt for a 40’ drain. It all depends upon the size of the house foundation. In most cases, either 4” or 6” piping is used. Once the trench has been completed, a perforated pipe inside of it. The perforations allow for water drainage into the pipe. After that, small rocks are piled into the trench. After that, the whole thing is covered up with soil. With a French drain, the water drains into the pipe and is then transported a safe distance away from the foundation. A tremendous amount of dirt and rocks are generally needed in order to fill a French drain. The process used for positioning these two systems varies. That’s because surface drainage systems are installed for a different reason than French drains are. Unlike drains that move small amounts of water (such as French drains), the ones that are designed to rest on the surface of the ground are designed and specifically installed to move water away from the premises rapidly. If flooding is an issue around your house foundation or lawn, a surface drain it is more effective than a French drain. To avoid damage to your foundation, it’s a good idea to get free drainage estimates for the installation of an effective drain. The common procedure for installing surface drains entails placing the drain on the top of the ground in order to capture water on the surface. These systems are basically collection boxes that have pipes connected to them. When water runs into a collection box, it travels down the pipes and is directed away from the house foundation or yard. During the process of installing the drains, pipes might be placed to be 15’ long or more than 100’ long. It all depends on how far away from the house the water must be moved.